Transport accounts for about 25% of Europe’s greenhouse gas (GHG) emissions in 2015 and the emissions mainly stem from road transport fuel. 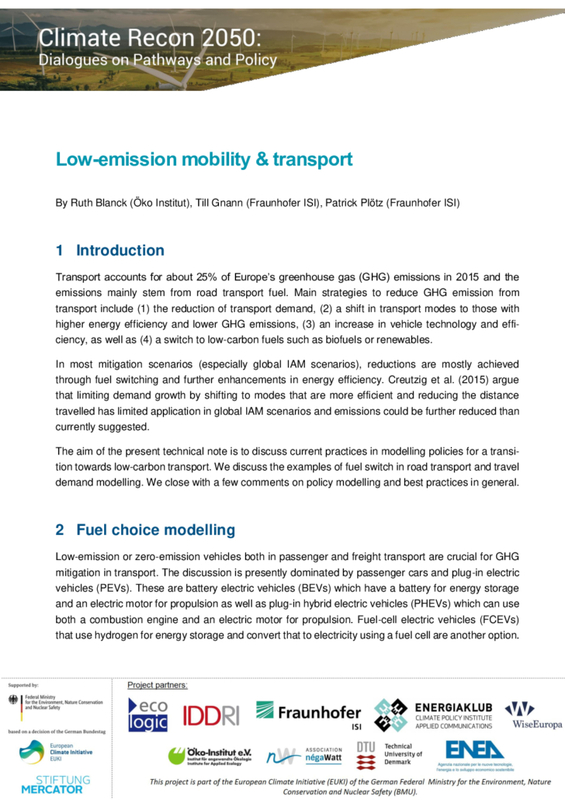 The aim of this technical note is to discuss current practices in modelling policies for a transition towards low-carbon transport. It is part of EUKI project Climate Recon.